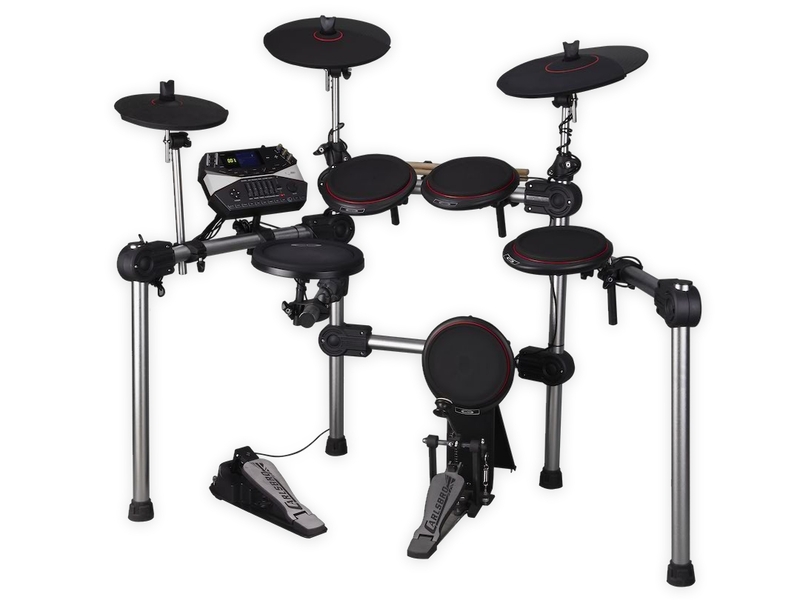 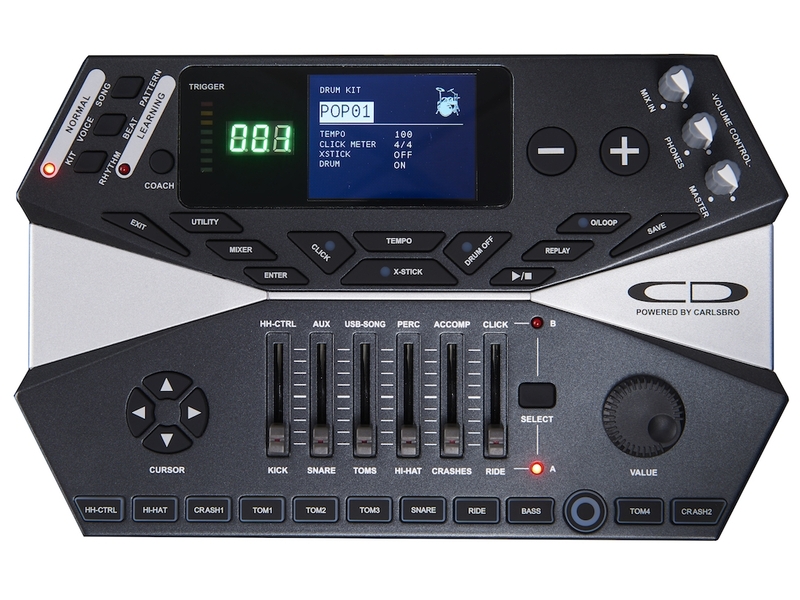 The Carlsbro CSD300 9-Piece Electronic Drum Kit features 36 user drum kits, 36 preset drum kits, 500 quality percussion voices 3 types of Chorus and 8 reverb types effect 20 Demo songs. 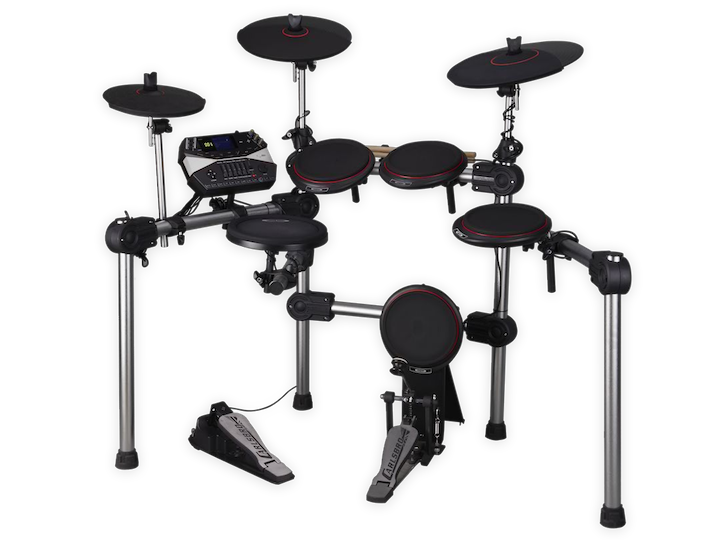 The “Real Feel” pads are extremely close to an acoustic kit, due to the specially selected Silica/rubber, chosen for all CDS models by professional drummers. 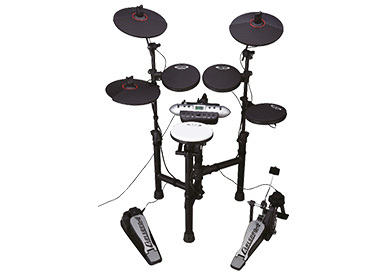 The kit also has a coach function which is designed for the beginner playing step by step and is ideal for Teachers and students.